File Transfer Protocol (FTP) is a network protocol used to exchange and manipulate files over a TCP/IP-based network. FTP is built on a client-server architecture and utilizes separate control and data connections between the client and server applications. ProFTPD is a high-performance and scalable FTP server written from scratch, with a focus toward simplicity, security, and ease of configuration. Per directory “.ftpaccess” configuration similar to Apache's ".htaccess". Logging and utmp/wtmp support with extended logging available. Modular design, allowing server to be extended easily with modules. Modules have been written for SQL databases, SSL/TLS encryption, LDAP servers, RADIUS support, etc. The Network Time Protocol (NTP) is a protocol for synchronizing the clocks of computer systems over packet-switched, variable-latency data networks. If you only wish to synchronize your clock when the machine boots up, you can use ntpdate. This may be appropriate for some desktop machines which are frequently rebooted, but for servers you should run ntpd. Using ntpdate at boot time is also a good idea for machines that run ntpd. The ntpd program changes the clock gradually, whereas ntpdate sets the clock, no matter how great the difference between a machine's current clock setting and the correct time. 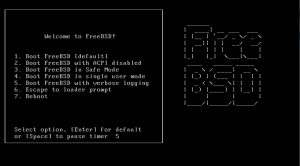 This guide describes how to install MySQL, a very popular relational database, in FreeBSD. This command will download required files from the internet and will install MySQL server. Make sure MySQL server start automatically whenever FreeBSD comes up after reboot. 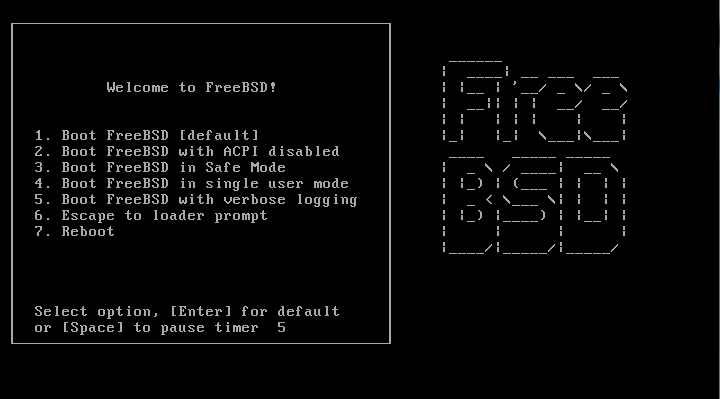 FreeBSD provide this facility via system configuration information. This file lists which services should be started up at system initial boot time. The file contains the global system configuration information referenced by the start up scripts and is stored in /etc/rc.conf. Save file and exit to shell prompt. Replace newpass with your own desired password. Optionally, copy either my-huge.cnf, my-large.cnf, my-medim.cnf or my-small.cnf (depending on the usage and utilization of your MySQL server) as my.cnf to /etc/ or /var/db/mysql which will enable you to tweak and change the configuration of server-specific MySQL server options by editing the file.